GST Audit will apply every year for those GST registered business (GSTIN) having turnover more than Rs 2 crores, by the sale of goods or services in the financial year. Audit under GST involves examination of records, returns and other documents maintained by a GST registered person. It also ensures correctness of turnover declared, taxes paid, refund claimed, input tax credit availed and assess other such compliances under GST Act to be checked by an authorized expert. GST is a trust-based taxation regime wherein a taxpayer is required to self-assess his tax liability, pay taxes and file returns. Thus, to ensure whether the taxpayer has correctly self -assessed his tax liability a robust audit mechanism is a must. Various measures are taken by the government for proper implementation of GST and audit is one amongst them. If the annual turnover of a registered taxpayer is more than Rs. 2 crores in a financial year, he is required to get his accounts audited by a Chartered Accountant or Cost Accountant every year. A financial year covers the 12-month period beginning from April of a calendar year to March of the next calendar year. Special Note: For the purpose of finding out the turnover limit for Financial Year 2017-18, it includes the first quarter of 2017-2018 i.e. 1st April 2017 to 30th June 2017, before GST was implemented. The total turnover calculation must be PAN-based, which means that once the turnover under the PAN is more than Rs. 2 crores all business entities registered under GST for that PAN will be liable for GST audit for a financial year. Supplies between separate business verticals. Goods supplied to/received from job worker on principal to principal basis. Value of all export/zero-rated supplies. All exempt supplies. E.g. Agricultural produce supplied along with branded ready-to-eat food. All taxes other than those covered under GST Eg: Entertainment Tax paid on the sale of movie tickets. Inward supplies on which tax is paid under reverse charge. All taxes and cess charged under Goods and Service Tax like CGST, SGST or IGST, Compensation Cess. Goods supplied to or received back from a Job Worker. Activities which are neither supply of goods nor service under schedule III of CGST Act. Only a Chartered Accountant or a Cost Accountant can perform a GST Audit u/s 35. An internal auditor cannot parallelly be appointed as a GST Auditor. The GST Act does not allow a GST practitioner to perform the audit. The power to audit is granted only to a Chartered Accountant or Cost Accountant who is in practice or is an employee of a firm of Chartered Accountants or Cost Accountants. Therefore, a Chartered Accountant must not be registered as a GST practitioner for the purpose of issuing the Audit Report. Where an organization or an entity has multiple branches registered under GST in different states/UTs, the total aggregate turnover of all such branches is considered while calculating the threshold limit of Rs. 2 crores.So, if the cumulative turnover of all the branches exceeds Rs. 2 crores, then the GST audit is applicable to each of these branches, irrespective of whether the turnover of a particular branch is less than the threshold.In such cases, one can appoint either one dedicated auditor for all branches or separate auditor for each branch. Where multiple branches have different auditors, the Standards on Auditing: SA 299 — Responsibility of the Joint Auditors may apply for the purpose of reporting GST Audit observations & Reporting. A proprietor, partner or Board of Directors in case of a Company should appoint a GST Auditor at the beginning of the financial year. E-way bills generated during the period under Audit, if in compliance with rules. Any documents that record communications from the GST department relating to the year. Certified reconciliation statement in Form GSTR-9C, reflecting reconciled values of supplies and tax amounts declared in GSTR-9 compared to audited financials in Part-A, along with the Audit report in Part-B. The Auditor must report any tax liability pending for payment by the taxpayer, identified through the reconciliation exercise and observations made on GST audit. Taxpayers can settle taxes as recommended by the auditor in Form DRC-03. The finalized GSTR-9C can be certified by the same CA who conducted the GST audit or it can also be certified by any other CA who did not conduct the GST Audit for that particular GSTIN. Whether or not all the requisite accounts or records are maintained. Whether or not the Financial Statements are prepared as per the books of accounts maintained at the principal place of business or additional place of business of the taxpayer. 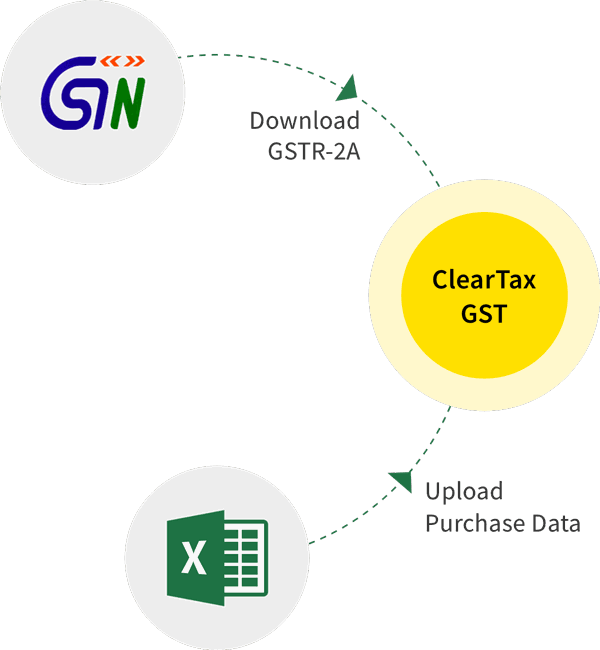 Certify the accuracy of information in GSTR-9C. To list down the audit observations or reservations or comments, if any. Read our article on Contents of GSTR-9C for further details. GSTR-9 and GSTR-9C are due on or before 31st December of the subsequent fiscal year. Special Note: For FY 2017-18, the due date for filing GSTR 9 and GSTR-9C is extended to 30th June 2019, through an order. There is no specific provision. Hence, it is subject to a general penalty of Rs.25,000.